If it seems like Amazon sells everything you can think of these days, that’s because it’s pretty much true. 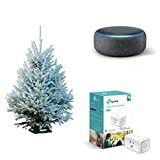 And this year, Amazon has you covered with Christmas Trees in addition to everything else you might need for the holidays. 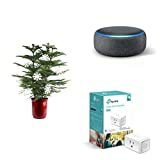 That’s right, Amazon is selling real live trees and shipping them right to your door for free. Why on Earth would you deal with tying one to the roof of your car when Amazon will ship you one for free!? 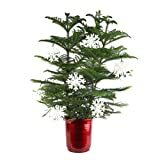 You can shop the full selection of Christmas trees right here on Amazon’s site, or check out a few of our favorites below.